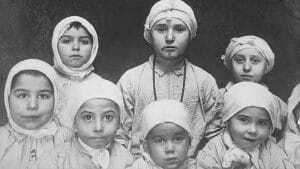 Forgotten Ellis Island is the first film to be produced about the immigrant hospital on Ellis Island. Opened in 1902, the hospital grew to 22 medical buildings which sprawled across two islands adjacent to Ellis Island, the largest port of entry in the United States. Massive and modern, the hospital was America’s first line of defense against contagious, often virulent disease. For two years, the National Park Service gave producer Lorie Conway exclusive access to film the Ellis Island hospital buildings (before restoration efforts began), as well as to interview former patients at the location. Original research was conducted over five years. Many never-before-published photographs are featured in the film, as well as excerpts from oral histories with medical staff, ward matrons, and patients. As America wrestles once again with the issue of immigration, Forgotten Ellis Island provides a unique lens on this contentious debate. On CPTV: Monday, August 28, 2017 at 10 p.m.